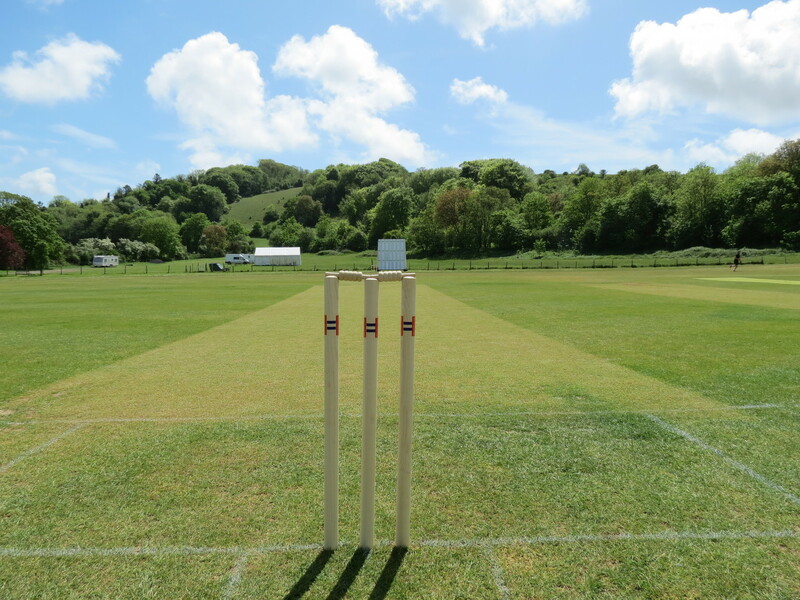 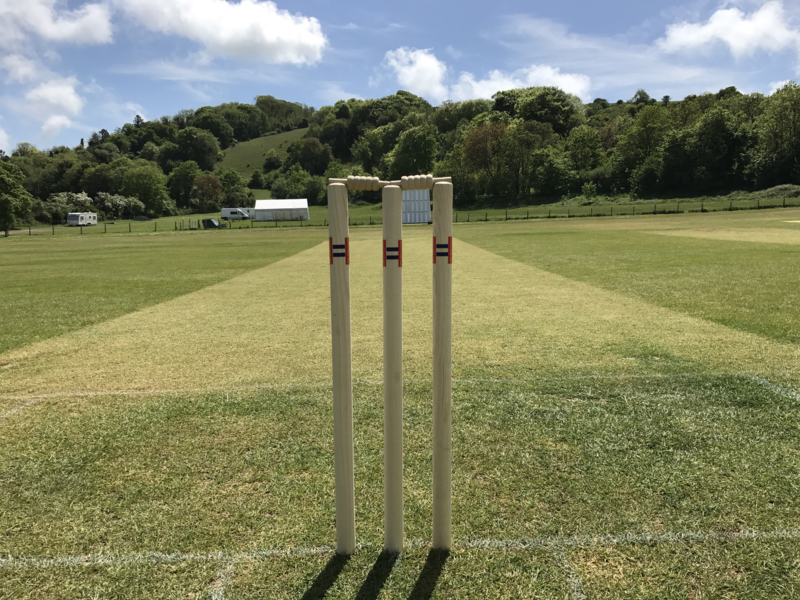 Chidham were knocked out of the National Village Cup at the first hurdle for the second year running by a strong Findon side on Sunday afternoon. 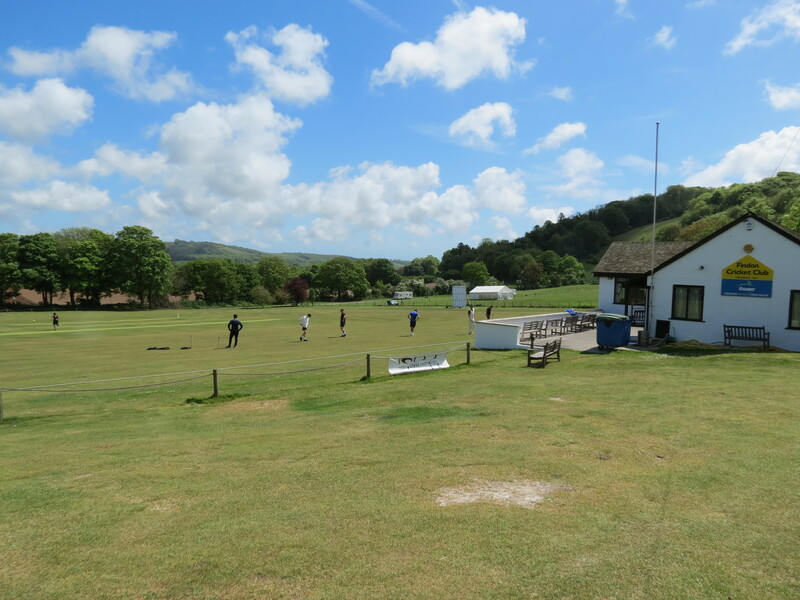 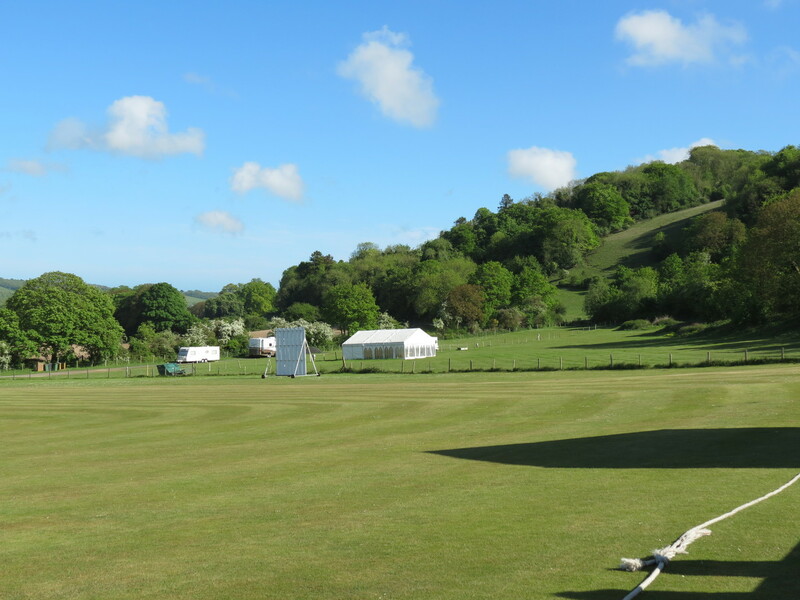 Nestled in amongst the South Downs, Findon Cricket Club must have one of the most scenic grounds in West Sussex although the outfield was littered with holes which made fielding for both sides very tricky indeed. 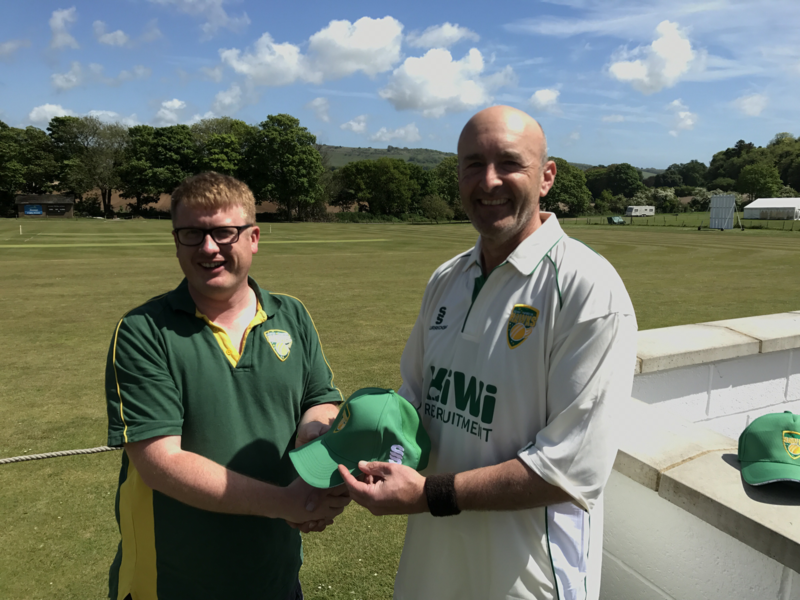 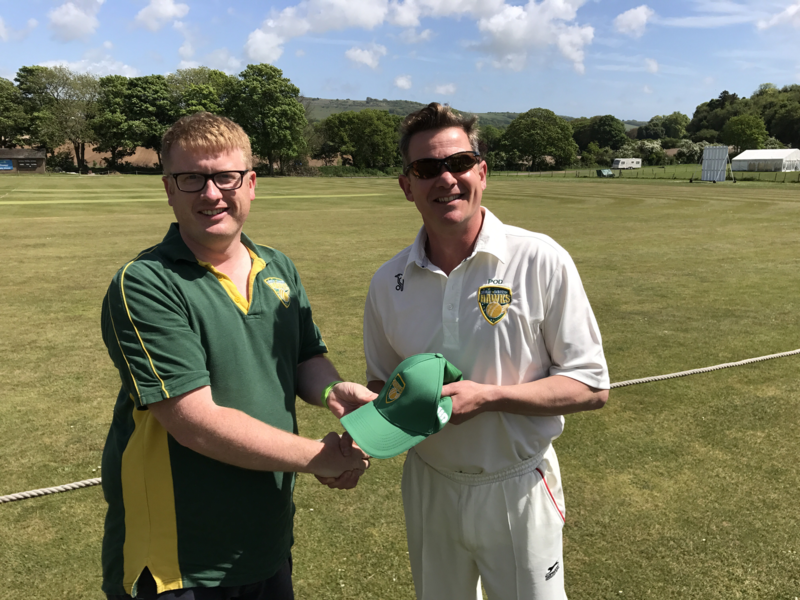 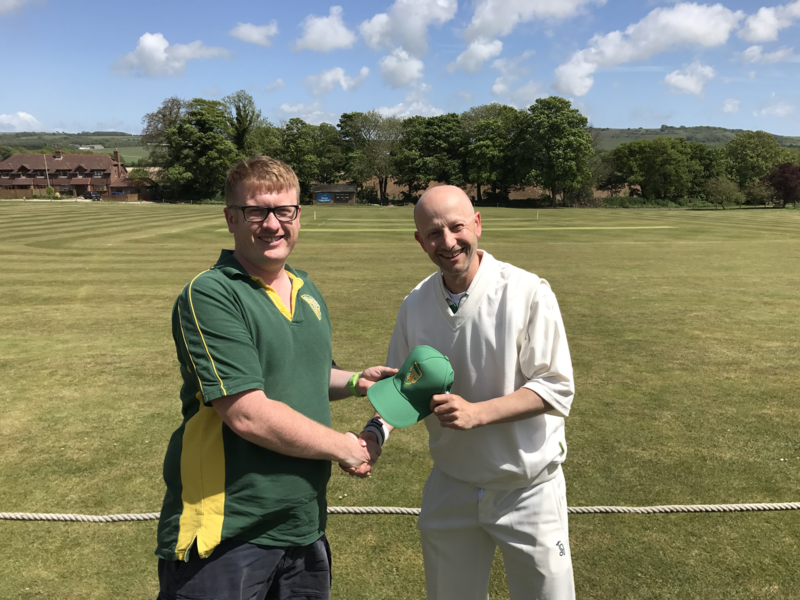 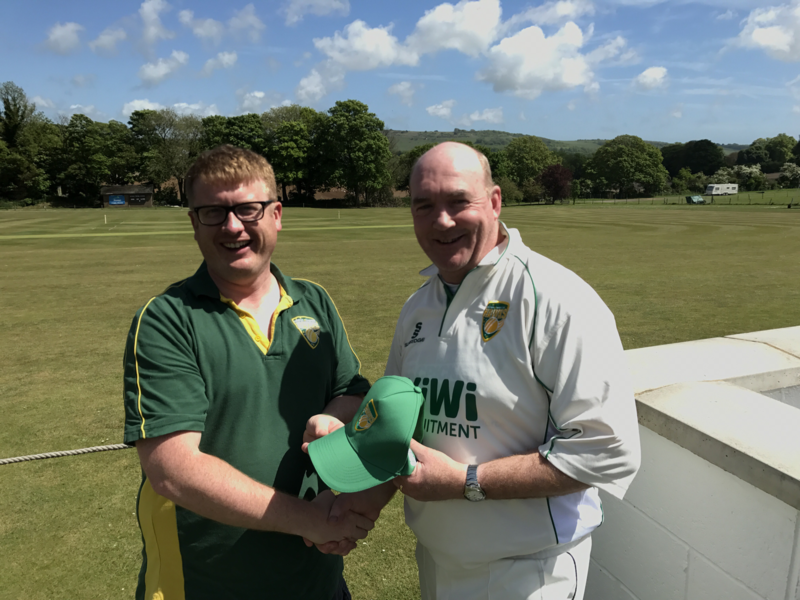 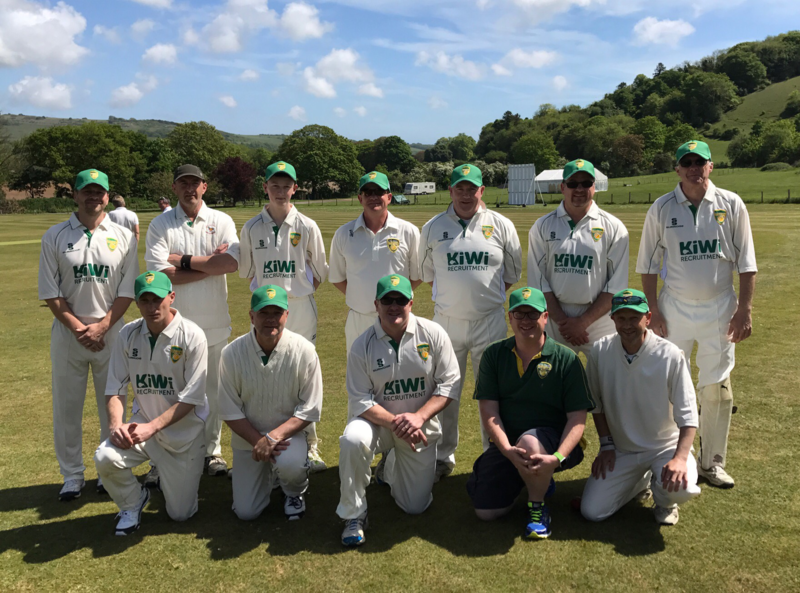 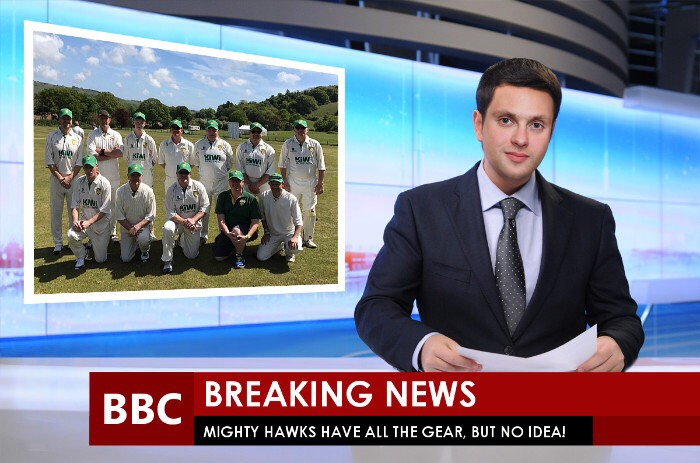 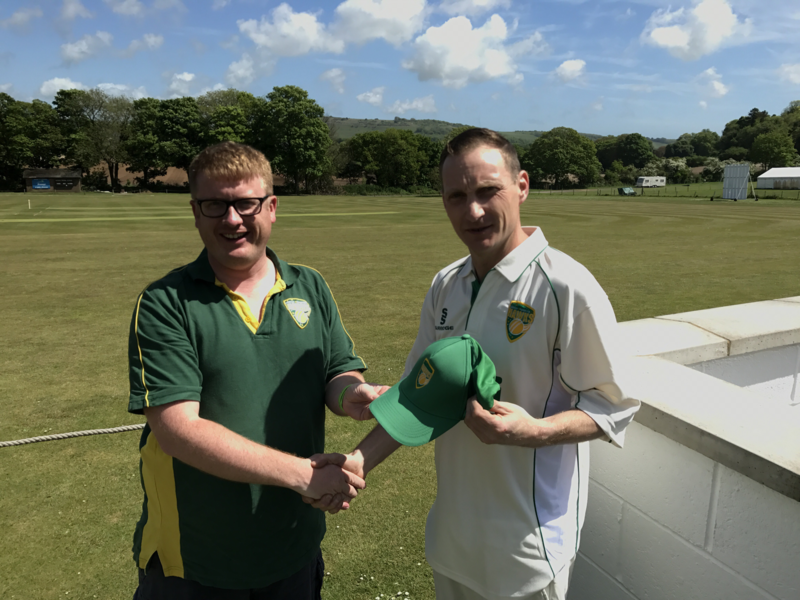 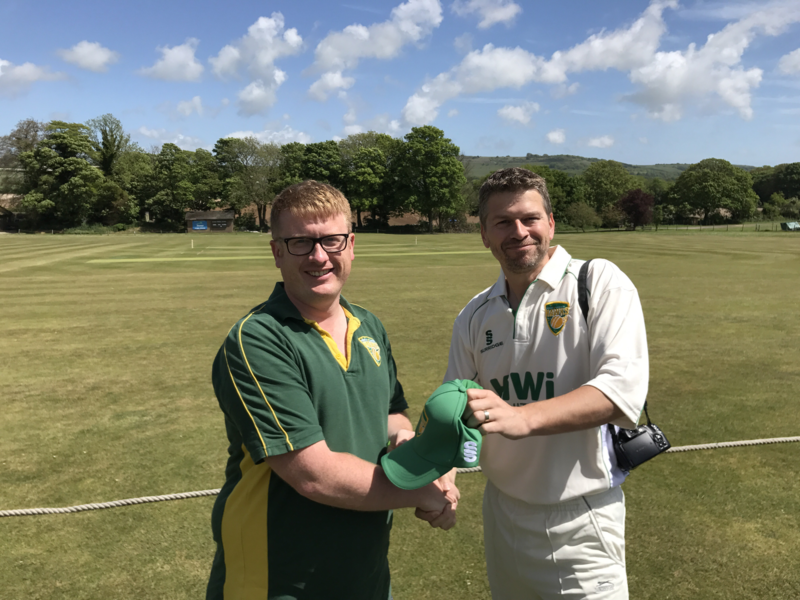 Chidham Chairman Andy Gubbs presented the Hawks players with their new sponsored shirts (Kiwi Recruitment) and club baseball caps before the game and scene was set for a lovely afternoon's cricket bathed in glorious Sussex sunshine. 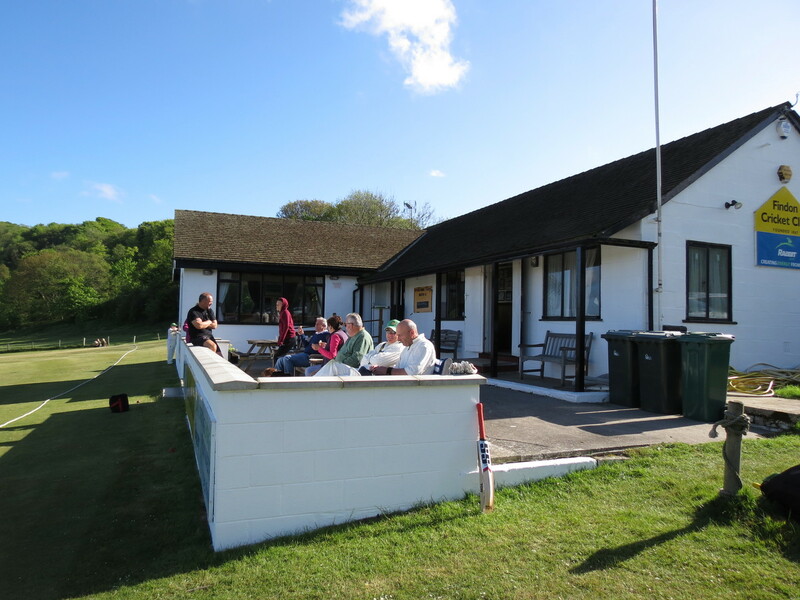 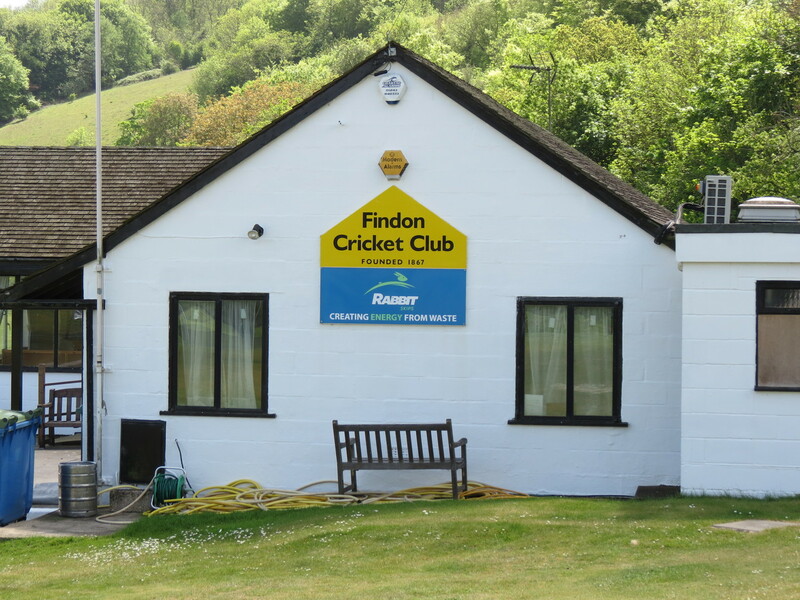 Findon were put into bat and their experience showed from the outset with wave after wave of accurate strokes and boundaries testing the Chidham bowlers and fielders to the limit. 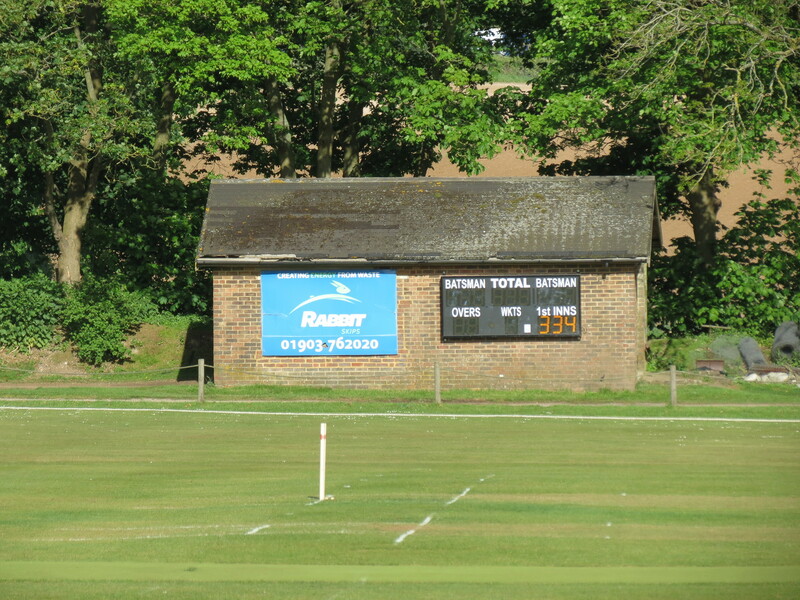 Jamie Lewis was eventually bowled and caught by Ben Gottesman for 29 after building up a partnership of 77 with fellow opener Bradley Bridson and then Bradley himself was next to go 15 runs short of his century, bowled Peterson - caught McClean, leaving Findon on 140-2 after just 15 overs. 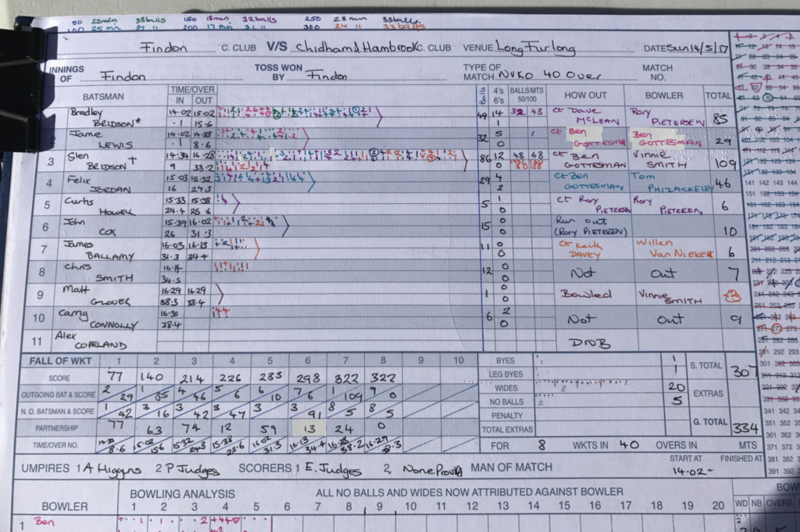 Steve Clark dislocated his finger behind the stumps with the very last ball before the drinks interval but Ben Gottesman was able to click it back into place without so much as a scream. 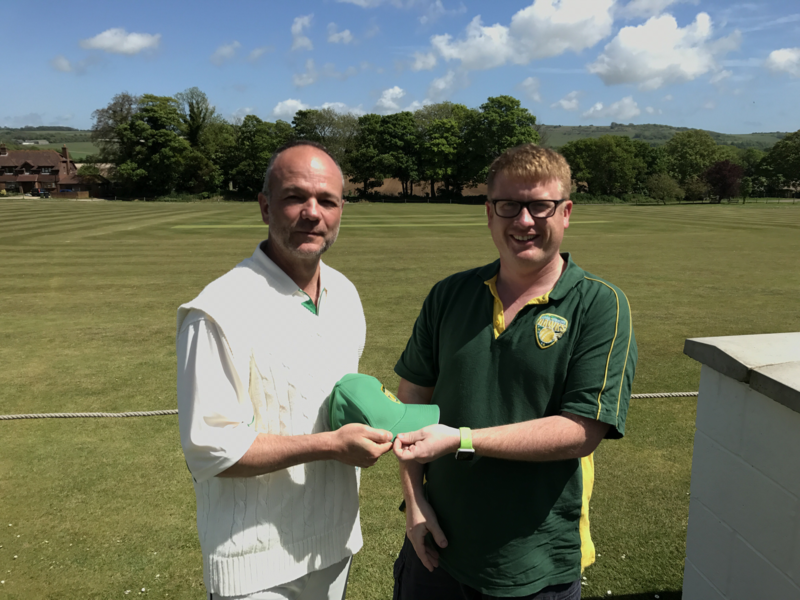 Following drinks, opening bowler Dave McClean took over as wicket-keeper and Steve Clark was left in the outfield with his fingers taped up. 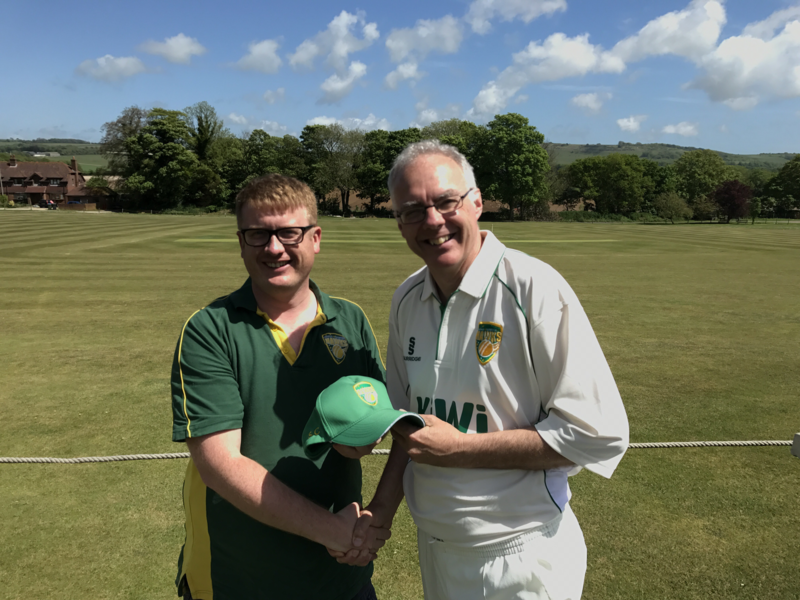 Tom Phizackerley got his reward for some accurate bowling after Findon number 4 Felix Jordan was caught out by Ben Gottesman for 46 runs, although the only person who saw the bullet of a shot was Ben himself. 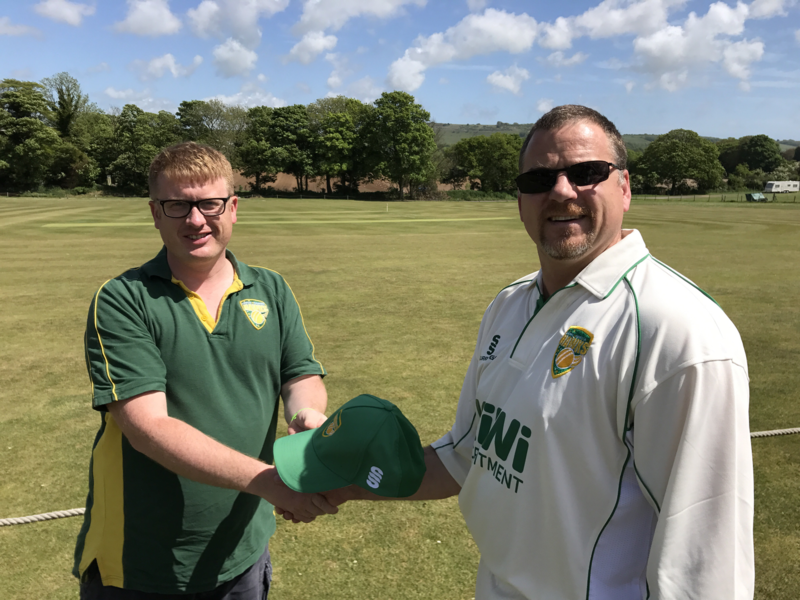 Curtis Howell soon followed for 6 runs after being caught and bowled by Rory Peterson with an amazing one handed diving catch. 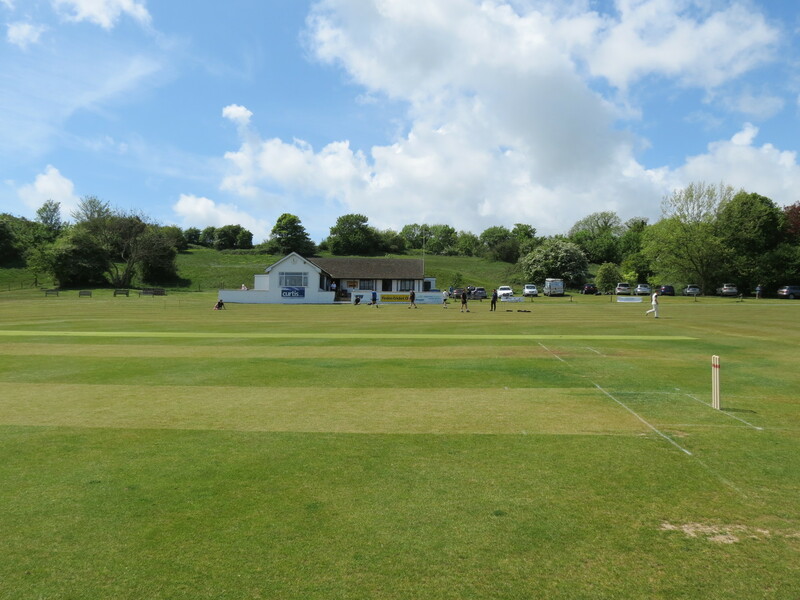 Peteron then produced another magic fielding moment by hitting the stumps from 30 yards when sensing that John Cox (10 runs) was out of his crease. 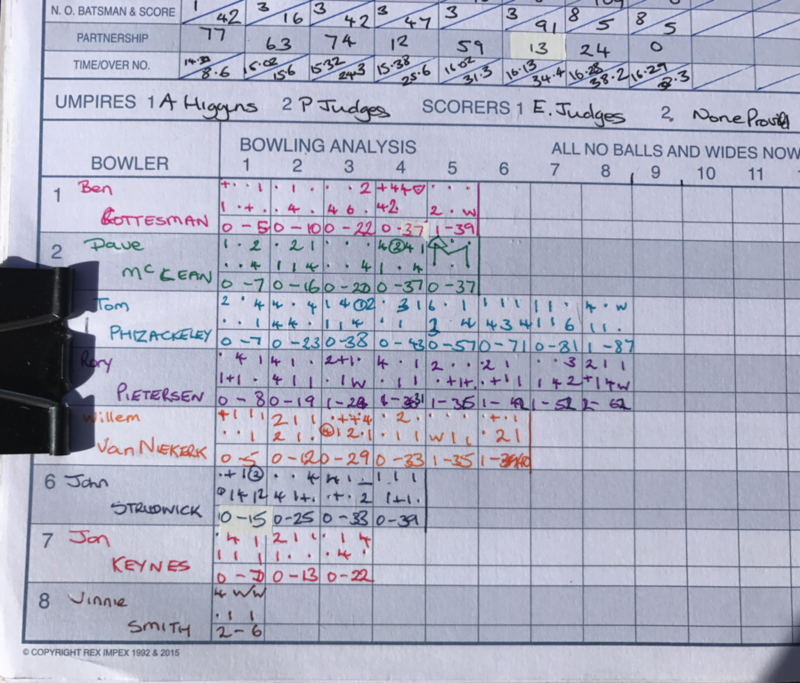 Willem Van Niekerk then got a late wicket thanks to Keith Davey catching a loose shot from James Ballamy (6 runs). 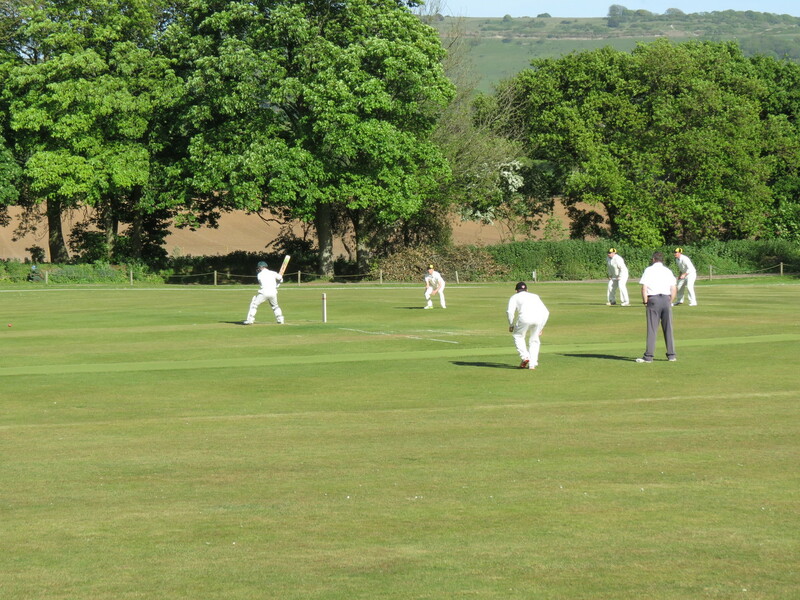 Vinnie Smith stepped up to bowl the penultimate over and was immediately hit for four off the first ball and the second bowl looked to be heading for a six until Ben Gottesman leapt like a gazelle just inside the boundary and managed to keep his feet off the rope to secure a remarkable hat-trick of catches, taking down Findon's best batsman Glen Bridson (109 runs) in the process. 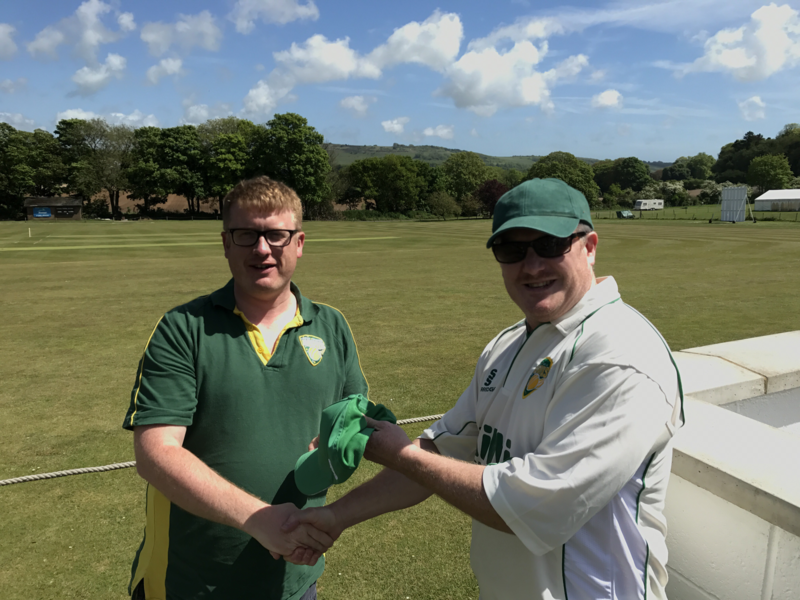 Smith then bowled out Matt Glover for a golden duck with the very next ball leaving him with the chance to secure his own hat-trick, but his strong claim for LBW when bowling to Connolly was controversially turned down by the umpire. 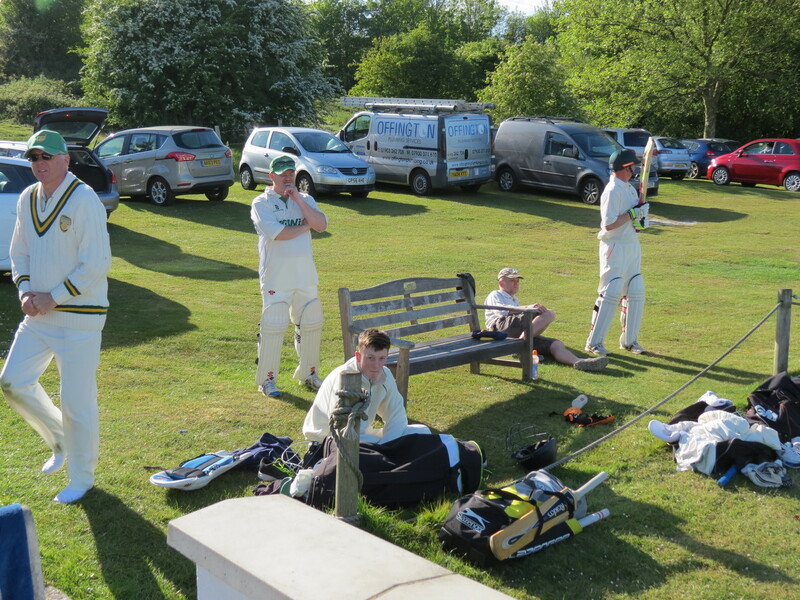 Findon ended a very strong innings on 334-8 and gave Chidham plenty to think about during the tea interval. 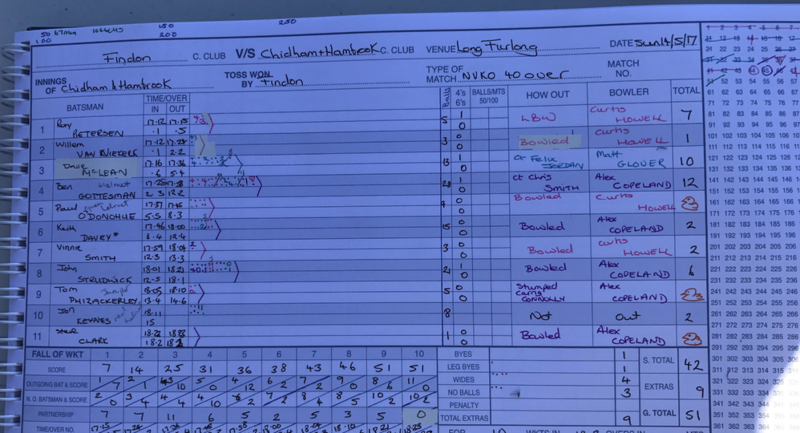 The Chidham innings barely lasted an hour with only number 3 Dave LcClean (10) and number 4 Ben Gottesman (12) managing to reach double figures whilst O'Donohue, Phizackerley and Clark all went for a duck. 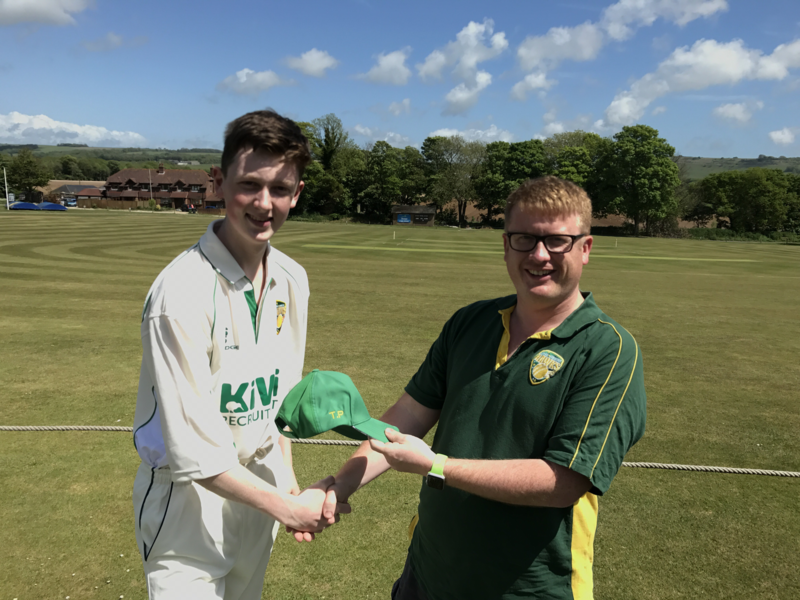 Curtis Howell took 4 of the Chidham wickets with some fine pacey swing bowling and Alex Copeland took 5 wickets for just 10 runs with his accurate spin bowling - Chidham eventually finished on 51 runs all out. 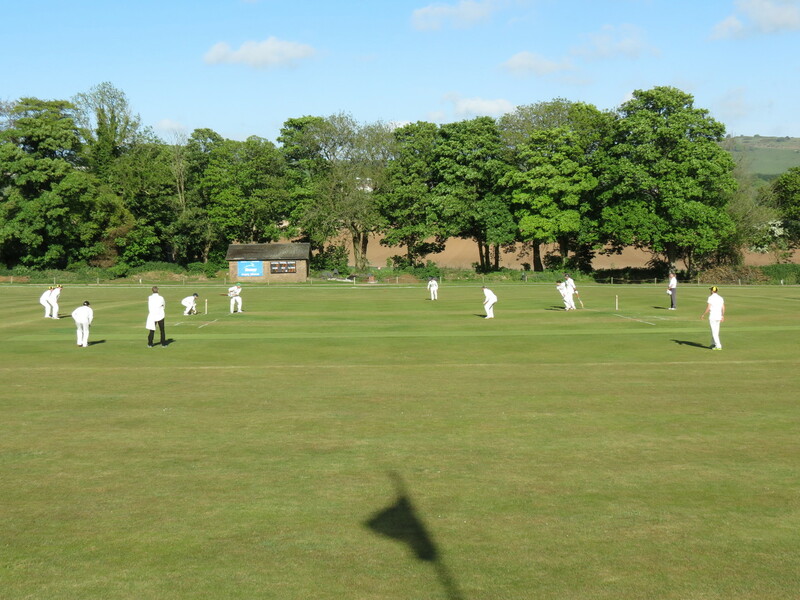 Chidham were well and truly beaten on the day but made some new friends, got to play at a splendid venue and also have another potential Sunday fixture later in the year - as always cricket was the winner.